My friend Stu at 2am Altars has done it again. We featured Stu’s beautiful hand crafted altars in our very first issue of The Magical Buffet. His altars are truly pieces of art! 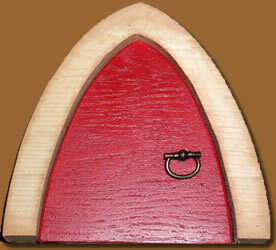 Well, now he has managed to capture my heart again with these adorable Fairy doors! All doors come with door handles. 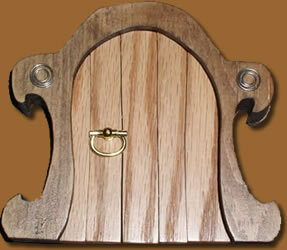 It may take 2-3 weeks for you to get your doors, as they are not made until ordered. Each door comes with a tag telling its story. Colors of stain and wood grain may vary. Doors do not open. 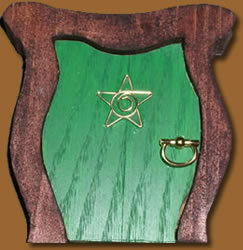 The doors are approximately 9 inches tall and are $32 dollars each. Shipping is a flat $6.00 to anywhere in the continental USA. In my opinion, it’s a small price to pay to make the fey in your life feel at home!